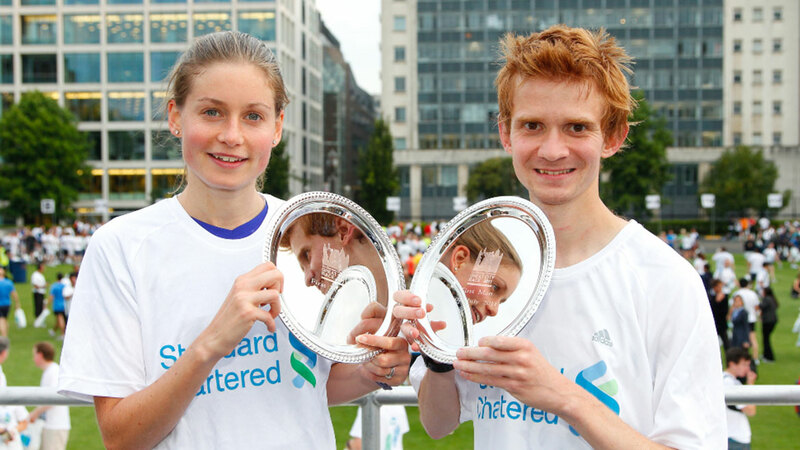 Standard Chartered PLC is a leading international bank, listed on the London, Hong Kong and Mumbai stock exchanges. It has operated for over 150 years in some of the world’s most dynamic markets and earns more than 90 per cent of its income and profits in Asia, Africa and the Middle East. This geographic focus and commitment to developing deep relationships with clients and customers has driven the Bank’s growth in recent years. 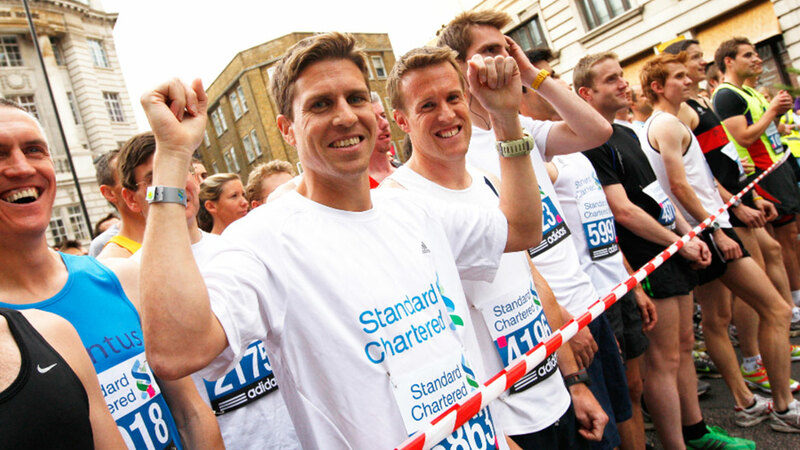 Richard Holmes, CEO Europe at Standard Chartered Bank was running with visually impaired Paralympian and five times gold medal winner Noel Thatcher. Five times gold medal winner Noel Thatcher. With 1,700 offices in 70 markets, Standard Chartered Bank PLC offers exciting and challenging international career opportunities for around 85,000 staff. It is committed to building a sustainable business over the long term and is trusted worldwide for upholding high standards of corporate governance, social responsibility, environmental protection and employee diversity. The Bank’s heritage and values are expressed in its brand promise, ‘Here for good’. 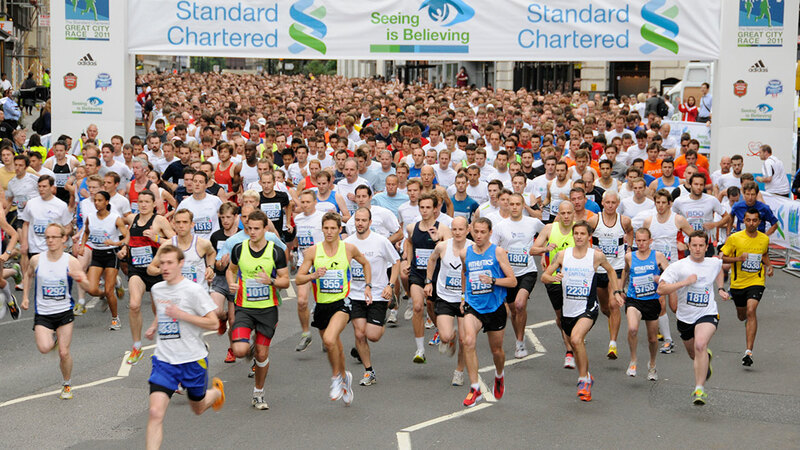 Henman Communications was brought in by sponsorship agency Capitalize, to assist with the delivery of the PR strategy and sponsorship activation of Standard Chartered Banks Great City Race, which raises awareness for Seeing Is Believing, the sustainability initiative set up by SCB to tackle global avoidable blindness. Seeing is Believing (SiB) is a major global public-private initiative to help tackle avoidable blindness. 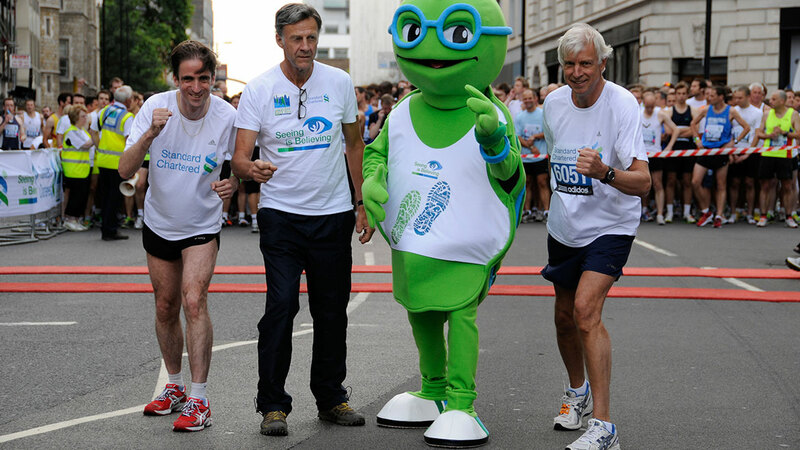 It is collaboration between Standard Chartered, the International Agency for Prevention of Blindness (IAPB) (registered charity, No. 1100559) and leading international eye-care NGOs. Started by Standard Chartered staff in 2003 as a way of celebrating the Bank’s 150th anniversary, Seeing is Believing has raised over US$32 million and impacted over 23 million people to date, including over 2.78 million who have benefited from sight restorations. The programme’s latest commitment will invest a further US$20 million by 2014 to provide comprehensive and sustainable eye care services to 20 million people in impoverished urban areas. Client reporting to Global Head of Corporate Affairs at SCB & Head of Marketing for Seeing Is Believing. Over 90 pieces of media coverage including: Bloomberg TV, daily national and Sunday newspapers, key sports, charity and running magazines, key online running sites, radio coverage, online media, social media and blogs. 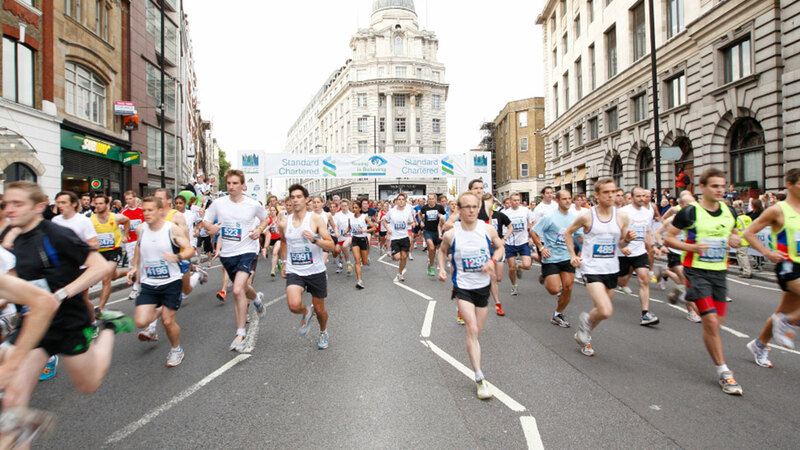 London Marathon-rights holder: marketing, runner communications, branding, race goodie bags.